Happy New Year to everyone and hopefully this year will lead to a relaunch of Monday Morning MTG. I've lost momentum and fallen away from writing but I hope to fix that starting with this topic. 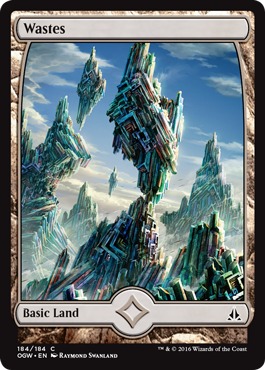 We'll cover some new cards, why they're important, and basically hit the ground running in this year. To begin, I'd like to provide a quick synopsis of what the past few months have been like for me (go ahead and skip to the first card image if you only care about the Magic, you won't hurt my feelings). Battle for Zendikar was a hit with card sales and that took a lot out of me for September and early October. Between five fat packs, two prerelease kits, and six booster boxes, I walked away with three expeditions (Misty Rainforest, Cinder Glade, and Temple Garden), multiple copies of each planeswalker, and plenty of dual lands. It was a good month. That's where things went... different. I've been working the same minimum wage job for a year, I have professional IT experience, a degree in Business Administration (okay, an Associate's degree, but it's still something!) and in addition to my "if I'm lucky I'll get 20 hours each week" job, I signed on with a temp agency for a warehouse looking to build up its staff. For two weeks, I was working 60 hours a week at night at the warehouse and 20 hours a week during the day at the other job. Warehouse is 30 minutes away, so add 4 hours to the total. Basically I'd leave the warehouse job, sleep for an hour, go to the first job, get off, nap for two hours, and start over again. It took a toll and I have time for nothing. 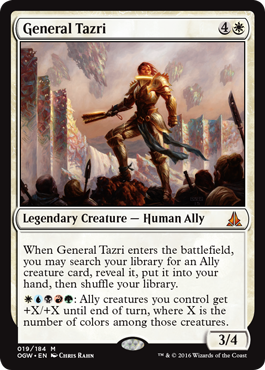 A five-color Ally general for Commander. 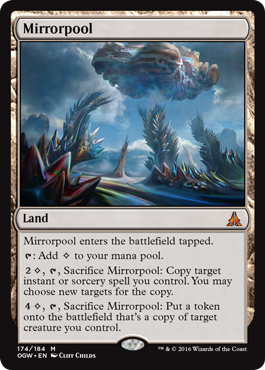 I'm sitting here thinking about Deadeye Navigator, Zealous Conscripts, and Gilded Lotus from a few Standards ago... 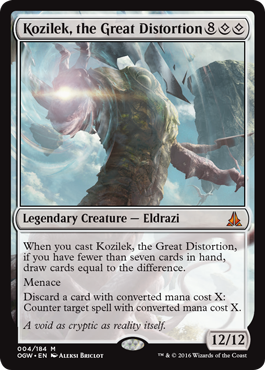 Generate a ton of mana, then bounce the Deadeye, soulbond with the General, then pull all the allies from your deck, play them all, bounce Deadeye, reattach to Zealous Conscripts to gain mana with the infinite engine, give the allies haste, give them a boost with the General... Boom. Everyone dies. I'm sure there are nicer decks you can play without making an infinite combo giving you massive hasty allies, but I digress. 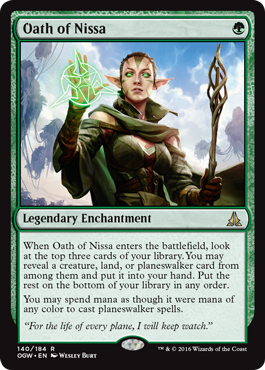 She's powerful and could open up the possibility of five-color Standard decks. Perhaps with Bring to Light as well? Linvala has made a return with... a Timely Reinforcements attached? I could see this a a finisher for control decks running white. Gain life, gain eight power with evasion on the board not bad. Probably going to be pretty cheap in the long run. I don't see her being widely used. 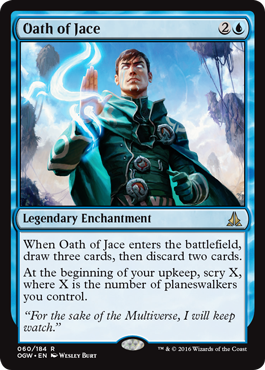 Does anyone even play that Commander variant with cards under 3 CMC anymore? Tiny Leaders or whatever? I feel like this card was made for that. 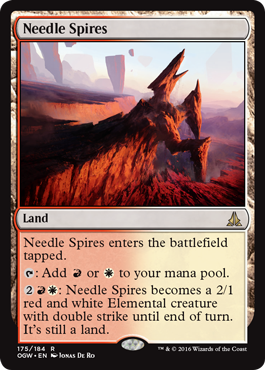 2/3 for two mana, deathtouch, and a sac engine to power up Blood Artist. Coincidence we're going back to Innistrad perhaps? 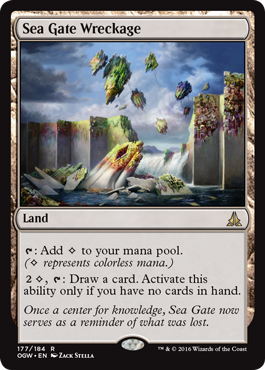 Anyway, there is life gain in sacrificing creatures and then sacrificing creatures lets you exile your opponent's board. That's strong. 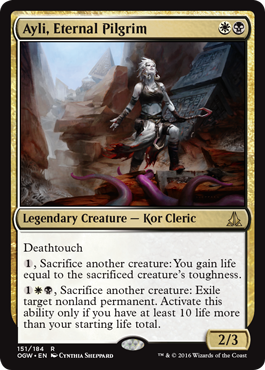 Strong in Standard (there's always some Wx life gain deck out there, even if it is fringe) and I could even see putting her in a White/Black Modern deck possibly even as a one-of in a tokens build. 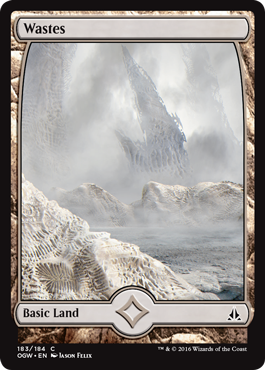 I don't know about the rest of you, but I've been waiting on these for a while... Colorless basic lands, they don't affect domain or Coalition Victory. 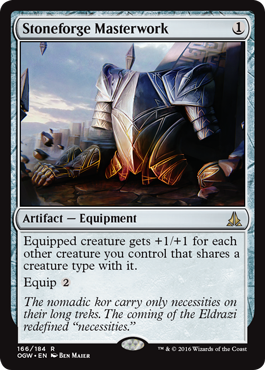 It's clean, it has flavor for the Eldrazi ravaging Zendikar, and it helps colorless Commander decks. I like it. I think it's cool. I want foil Wastes... There, I said it. Especially that Kozilek one on the right. That's just beautiful. 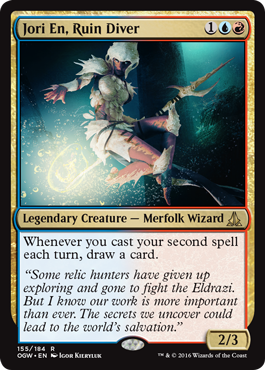 Well, there's the tribal piece I need for my Slivers EDH deck... Can't have a block without one these days, although this is probably to boost Allies and maybe Eldrazi. All those tokens running around boost this. Kinda. She's powerful. Basically three mana, and permanently pump your creatures. Or just spew out tokens, then boost them, etc. The ultimate isn't very exciting and largely unattainable I think. 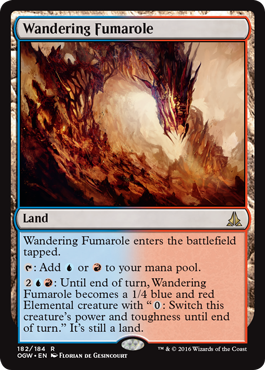 five turns to use it, and chances are burn, or flying creatures, or trample, or a planeswalker kill spell showed up along the way to ruin the fun. But based on the first two abilities, she's good. Five mana for basically "You lose 10 life." 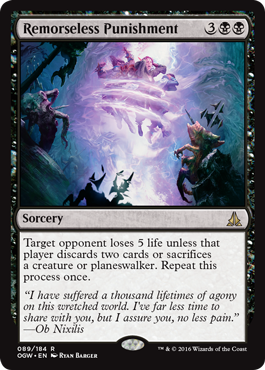 or discards cards, or sacrifice creatures, or sacrifice planeswalkers, or any combination of those. If you play control in Standard and run Black, this is powerful, not even sideboard. 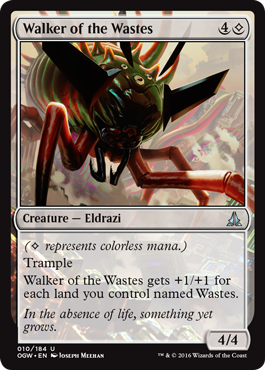 You kill creatures, you take away life, you stop planeswalkers, or you discard cards. In a mirror match, whomever plays this first is pretty close to winning. You either make them give up life or force them to lose cards they could turn the match around with. This is just... strong. Speaking of finishers in control... Yeah, nothing else to share about this one. It's a 5/5 mythic rare for seven mana, found everywhere in February in the $1 rare bin. Finishers still! 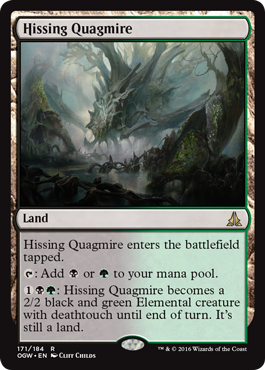 Blue has some good stuff, but it's costed pretty high to be playable outside of control, so again, a $1 mythic rare. 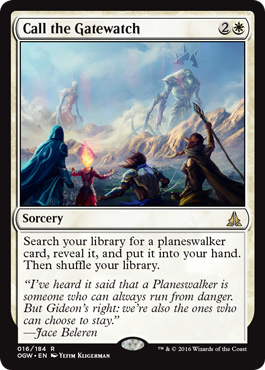 Planeswalker searching. That's new... And cheap. Kind of. 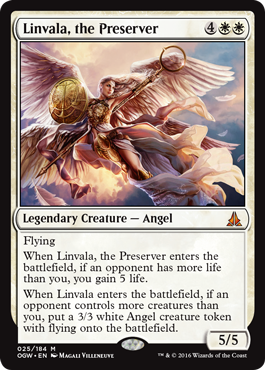 EDH Superfriends! Next week, I'll look at some more of the more impressive cards. I tried to touch on the "important" ones and the mythic rares. Right now, there are some impressive cards, but many of them seem lacking... 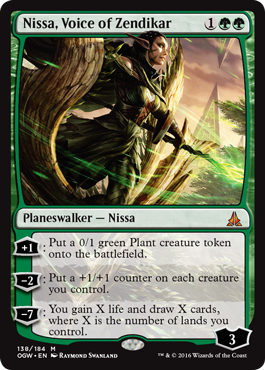 Probably the best thing coming out of this set are the Wastes, Kozilek, and the planeswalkers, of which Nissa is one and the other is TBD. 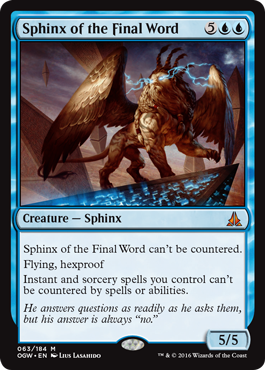 (I know what it is because of the spoiler leak, but Monday Morning MTG doesn't share spoilers like that. Only cards officially revealed by WotC.) Anyway, until next week everyone!